From skiing to hiking, Colorado offers abundant outdoor experiences. When your muscles need rejuvenation, soaking in one of these natural hot springs is the perfect way to unwind after a day of recreation. The snow was falling slowly in the night air as we deposited our clothing on an oversized Adirondack chair at Strawberry Park Hot Springs in Steamboat, Colorado. I shivered and slipped into the deliciously hot mineral pool. After a deep inhale and exhale to adjust to the temperature change, I relaxed and let the water work its magic. Taking a dip at the local natural hot springs dates back longer than Colorado has been a state. In fact, the Trimble Hot Springs in Durango received weary guests as long as 2,000 years ago, and the Glenwood Hot Spring Pool has been hopping for more than a century. In western Colorado, the 720-mile Colorado Historic Hot Springs Loop highlights five key hot springs, but there are more than 30 worth exploring throughout the state. As a Colorado resident, I love visiting the hot springs at the end of a satisfying day snowboarding or even hiking a 14er. These are my three favorite places to relax after a hike or when I need an après ski experience. Glenwood Springs has been a hot spot for soakers for centuries: members of the nomadic Ute tribe were the earliest known people to soak in the healing hot springs. Nowadays, Glenwood Springs makes for an easy day trip from Vail for anyone needing a soak. 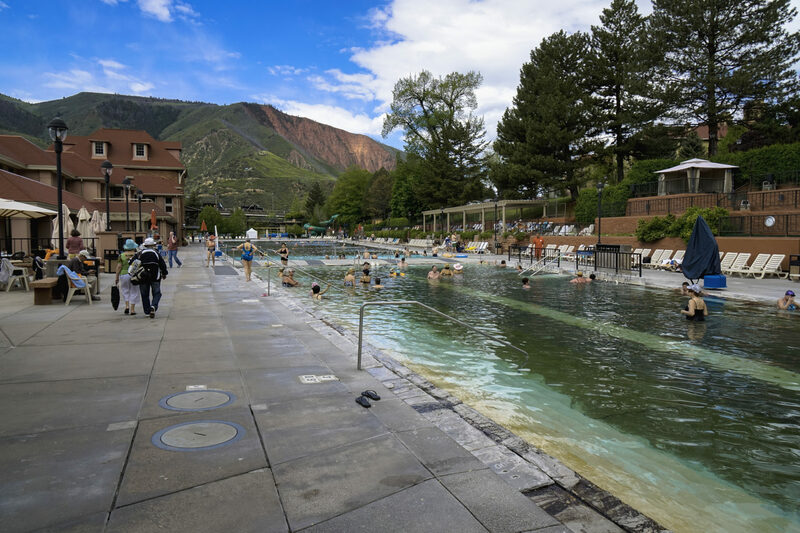 While the Glenwood Hot Springs pool remains the grande dame in the town (it’s considered the largest in the world at two blocks long), I’d recommend checking out the new Iron Mountain Hot Springs nearby for a relaxing dip. Situated along the Colorado River, 16 of the 18 pools offer prime views from the bank of the river. Pools vary in size and temperature, so I always play Goldilocks until I find one that’s just right. Bonus: Iron Mountain also serves adult beverages including wine, craft beer and specialty cocktails. Some hot springs provide towels, others allow you to rent them. Bring your own so that you don’t have to ride home (or hike out) wet. If you’re staying in a nearby hotel, bring the cozy bathrobe for an upgraded experience. Flip flops are also helpful for navigating between pools. 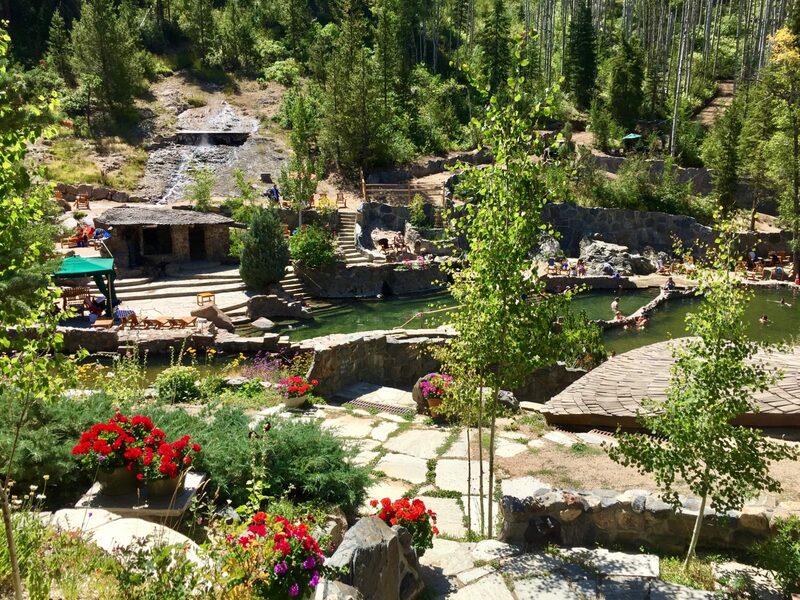 One of my all-time favorites, Strawberry Park Hot Springs are located approximately seven miles from downtown Steamboat Springs. With unique stone masonry that blends beautifully with the natural setting, these hot springs are worth the bumpy, unpaved drive. To ensure the feeling of “earning your soak,” you can hike in to the springs and luxuriate to your heart’s content before you hike back out. Just be sure to bring cash for the entry fee. Some hot springs become “clothing optional” after dark. To avoid any potential surprises (especially with the kids in tow), know the policies of each spring before you go. 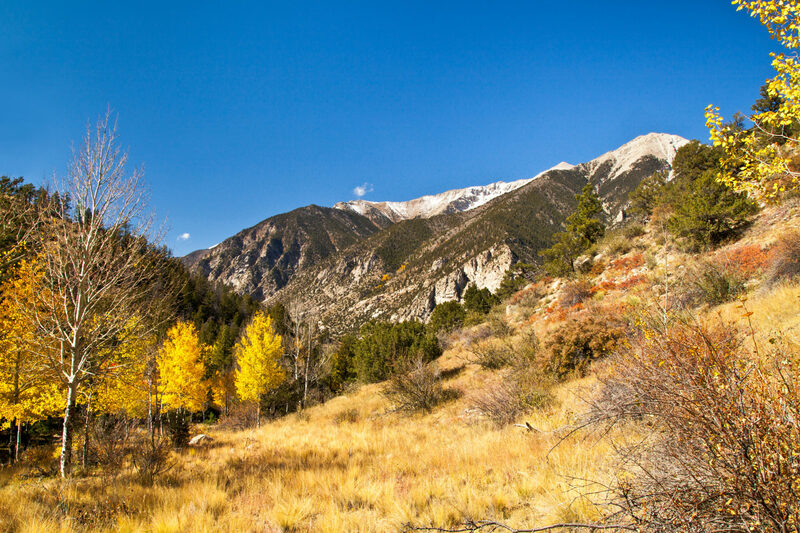 Chafee County is home to the mountain towns of Salida and Buena Vista, where the topography of the Continental Divide has created the perfect environment for hot springs to form. While Cottonwood, Antero and Creekside Hot Springs are all worthy destinations, Mount Princeton Hot Springs Resort remains one of my favorites. In addition to the five geothermal pools, you can also wade in to chilly Chalk Creek to dip in the natural hot pots. Whether you’re looking for a rustic pool or a five-star experience, you’ll find your ideal hot springs experience. So go ahead — work your muscles in the mountains. There’ll be a relaxing soak waiting for you when you’re done. 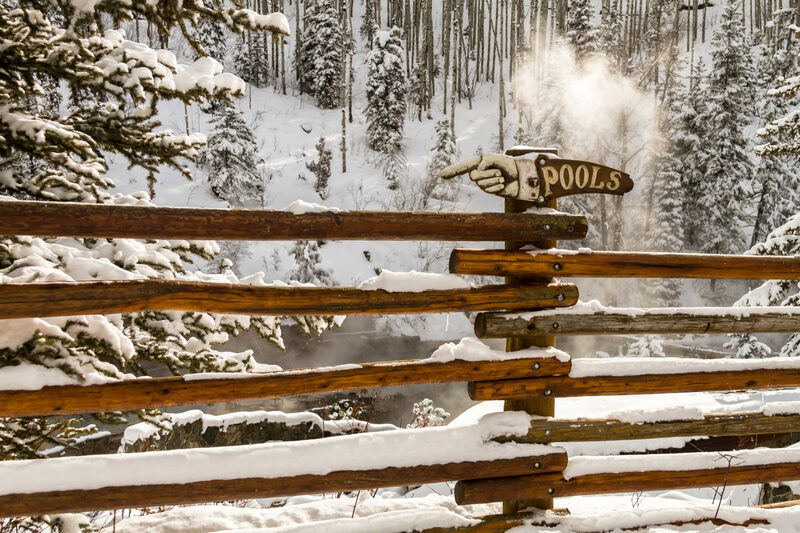 Winter is a popular time to visit hot springs, but you don’t have to wait for snow. Soaking in summer is equally as enjoyable and, in some locations, can be less crowded. Visiting in the fall? Catch the color show as you relax.